Hiring "A" Players is the key to a killer sales team. Knowing how to hiring "A" players is the challenge. "Great people are at the center of all great achievements." Hitting our number, making our goals, and getting to the next level are only possible if the people doing the work are good, really good. 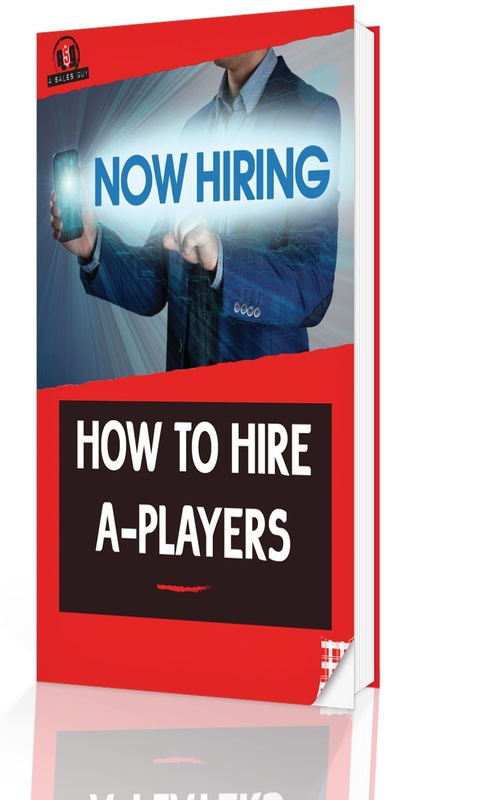 How to Hire A Players will give you a specific, proven, systematic approach to dealing with the challenges of hiring sales people and help you build a team of "A" players for your sales organization. Suffer from the 80/20 rule.